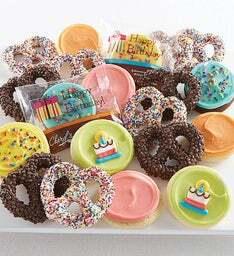 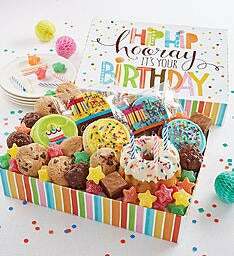 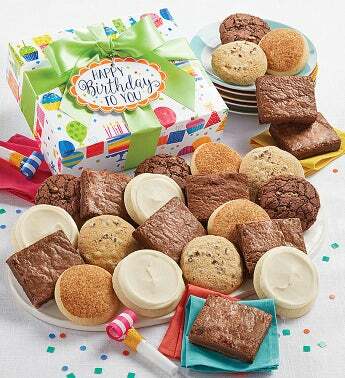 Our delicious buttercream frosting is the perfect finishing touch on these birthday goodies! But, best of all these cookies and brownies are gluten-free! 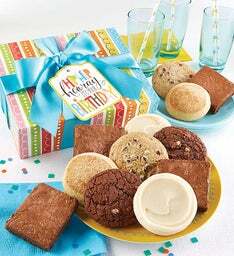 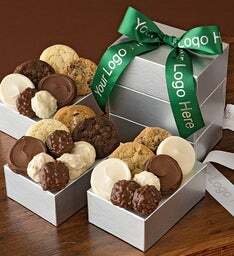 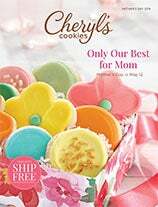 We’ve included our fudgy brownies and chocolate chip, brownie walnut, snickerdoodle and buttercream frosted sugar cookies all carefully packaged for perfect delivery. 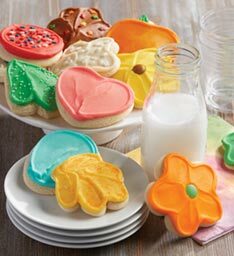 Our gluten free cookies and brownies are produced in a gluten free facility and exceed the FDA regulations for gluten-free foods!